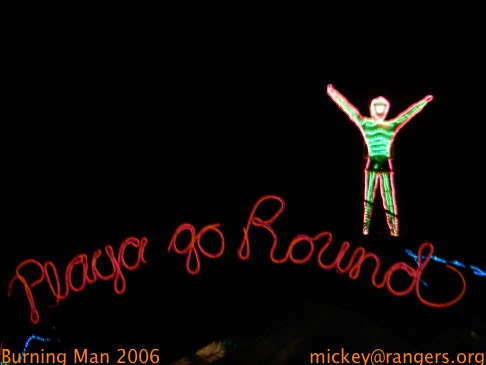 The image of the Man is everywhere, from our tee-shirts to our necklaces to homage strutures all over the playa, like this, the Playa-go-Round. 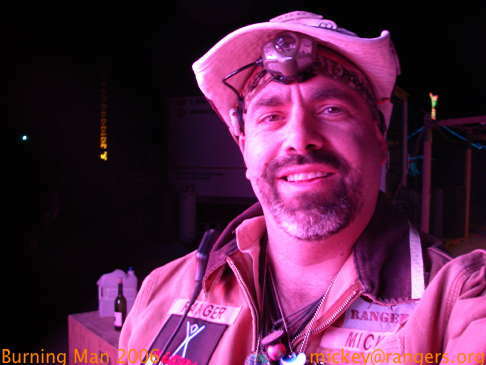 Ranger Mickey on 'stick duty', as it's frequently called. We have two- or four-hour shifts with the Man, answering questions, keeping people safe on steep stairs and fun overhangs. Here's the Man from below. That's a lot of neon, and it looks great near and far. He's been the same height for many years, but the structure upon which he stands has grown from the meager haybales in years past. The color of the Hope & Fear structure changes depending upon the reported anxiety level of the participants. Here's a view of things over a few moments. 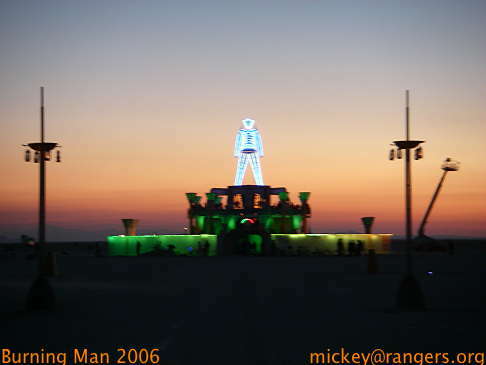 Perhaps my favorite photo of the Man for this year; the sublime natural colors of dusk contrast with the bright artificial lights of the Man. 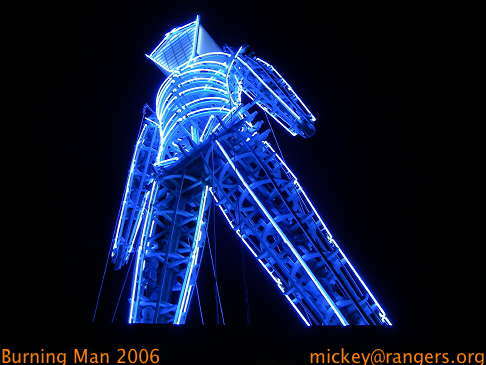 Of course, no discussion of the Man would be complete without him burning. 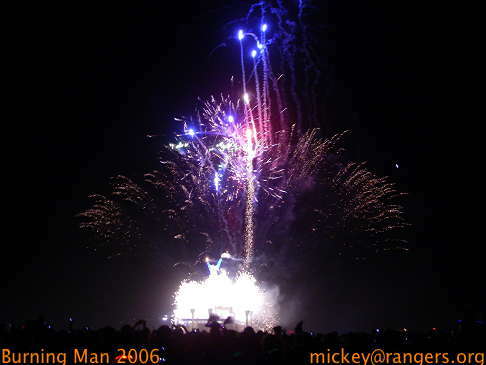 This is the moment before the accelerants within were ignited by the firework-sparkler thingies they built into his arms, which had raised a few minutes earlier. The hushed crowd roars. 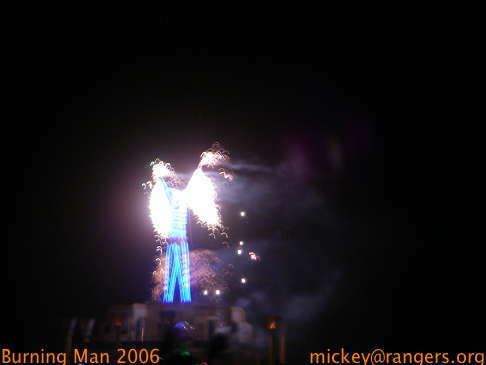 Then the big fireworks erupt as the base of the man bursts into flame. The Rangers man the perimeter, ready for the moment the structure falls and the crowd rushes in to bask in the flames and heat. Next, our times in Kidsville.